- Mommy, please, can I come to a Christmas party with Santa, who is not real? Beautiful red box got into my possession last season, waiting for its time to shine. Cookies and candies were its best friends. I have decided for a long time ago, that I would decorate it once. 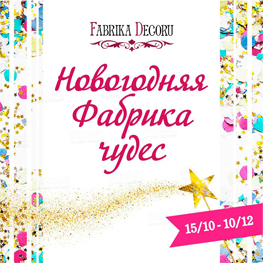 Fabrika Decoru announced a new winter challenge, and I thought this project would be a perfect match! For the background paper, I actually used Fabrika Decoru's spring paper collection. Die cut elements like little birdie holding a rose, bird cage and roses come from Tilda's Xmas collection. 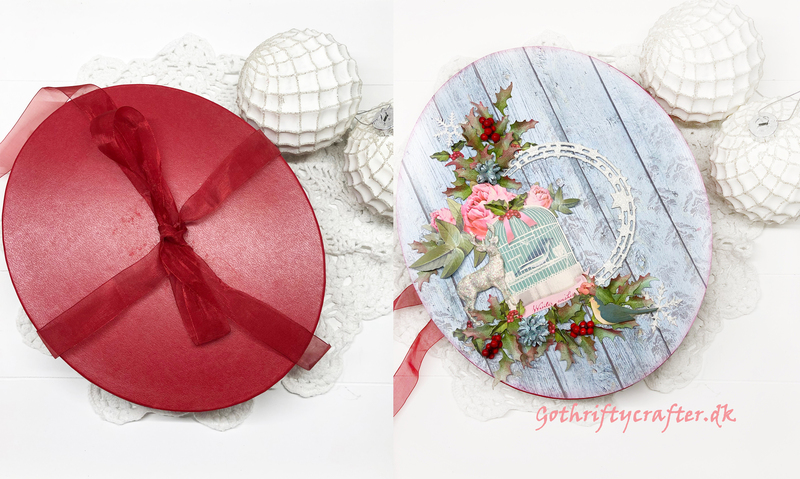 Holly leaves are cut with beautiful Sizzix Tim Holtz "Holiday greens". They are distressed by two shades of green and one shade of deep red in order to match the box and create a natural look. Deer is a white clay mould, generously covered by 3 layers of glitter paste in silver and white. White stars semi circle is by Marianne Design. 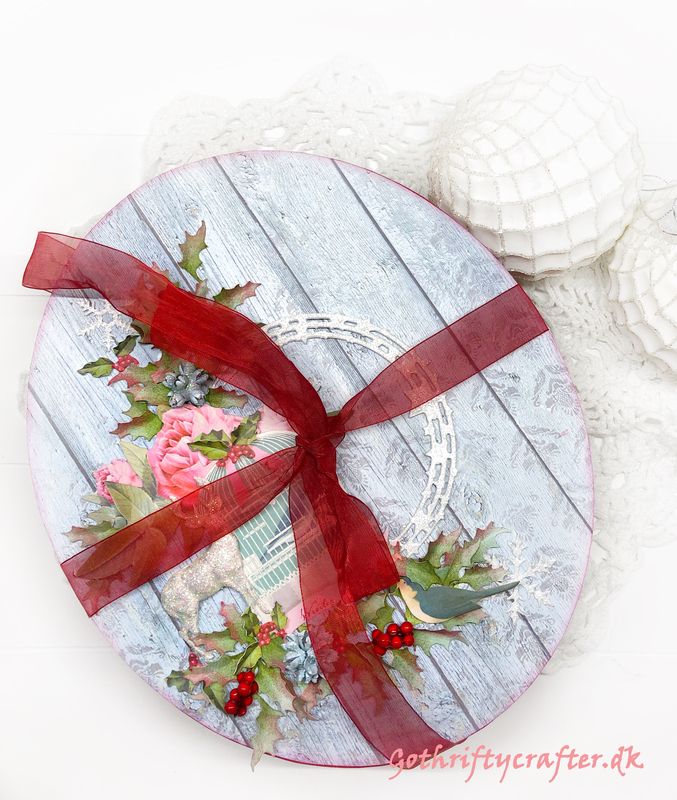 As a finishing touch, the box is embellished by red berries and natural decoration in blue, which also got sprinkled with glitter. Thank you for stepping by, may you have a great day ahead! 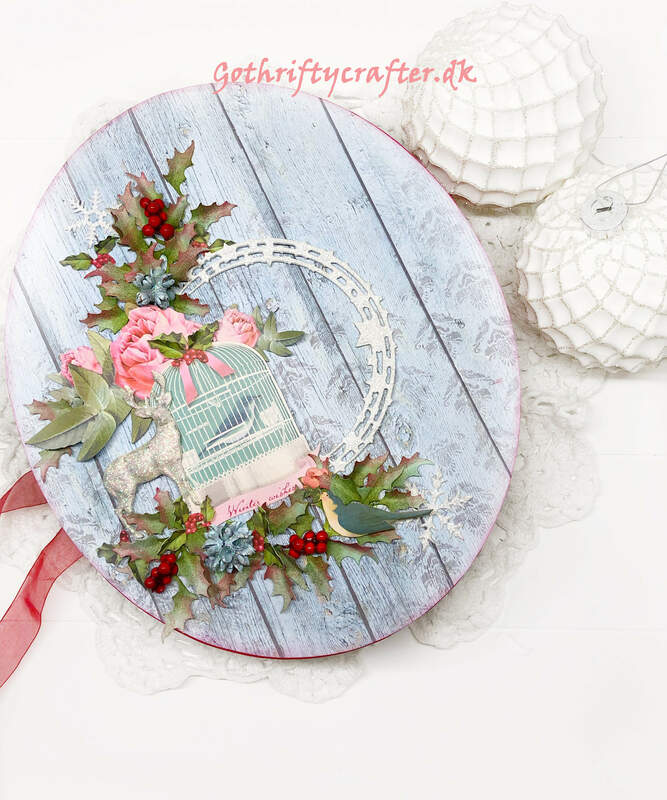 I would like to enter this project for Fabrika Decoru's Challenge # 3 "Winter fauna"